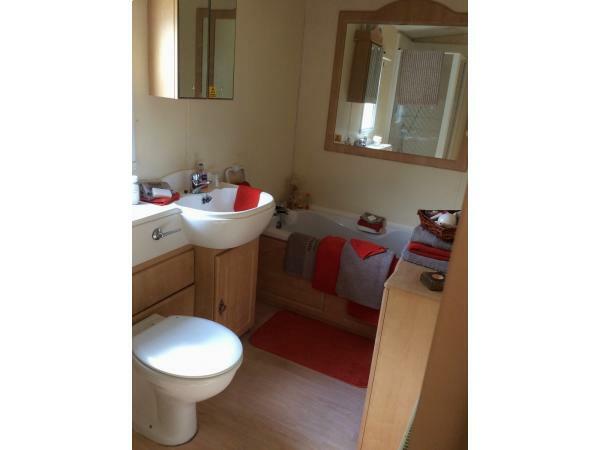 Additional Info: Full bathroom, plus a separate toilet. welcome basket with essentials provided eg tea, coffee, milk etc. Hurley Flyer across the road featuring 2 for 1 meals.bus stop outside the caravan site . A deposit is required on booking , and a breakage fee which is refundable within a few days after all checks have been done . £100 deposit requested on booking, (non refundable). Balance 4 weeks before start of holiday. 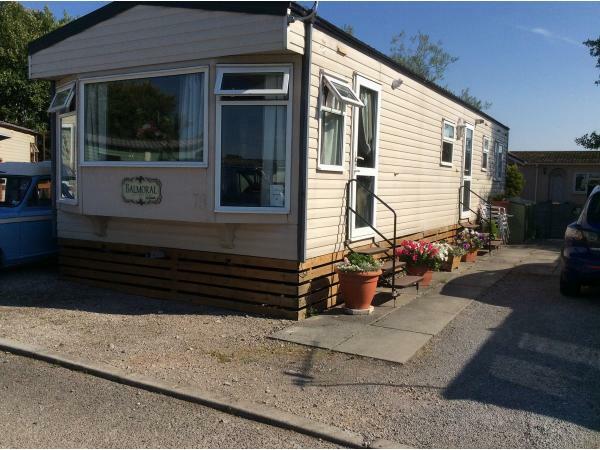 Bright and airey caravan located in Morecambe. 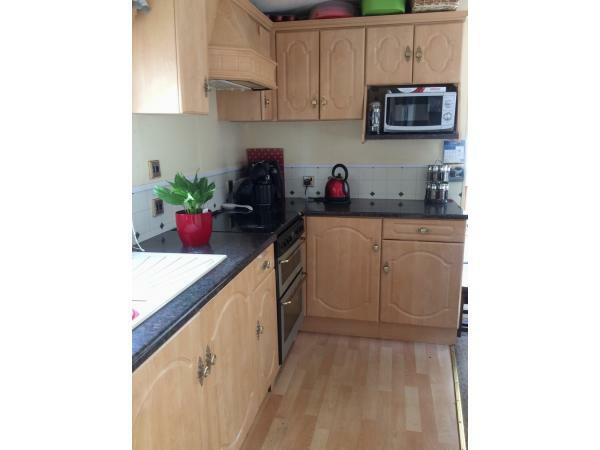 Located in a quiet corner on a larger size plot, 5 mins from club. 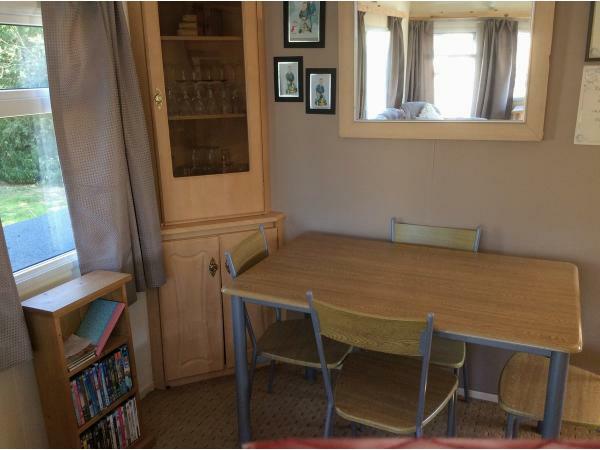 1 double and 1 twin room, also double pull out bed in lounge. 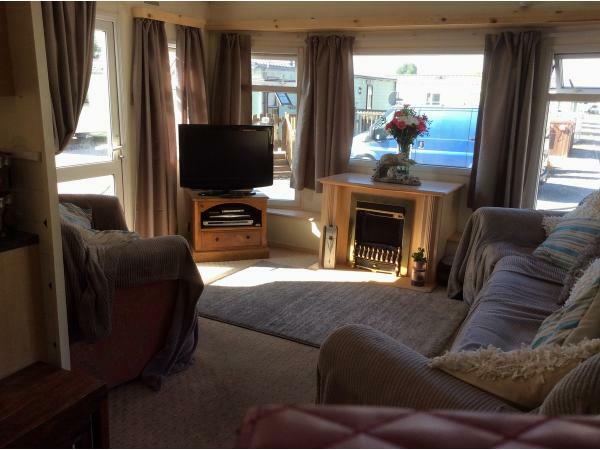 Double glazing and central heating throughout and separate electric fire in lounge. 32” Flat screen tv with DVD player selection of kids and adult dvd’s and games. Parking outside for 2 cars. 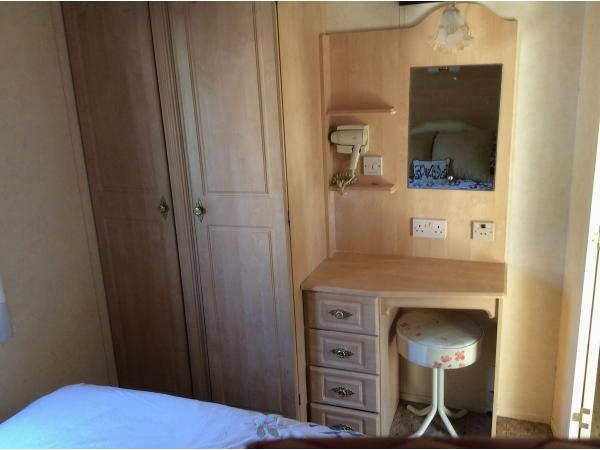 Double bedroom with fitted wardrobes and dressing table. 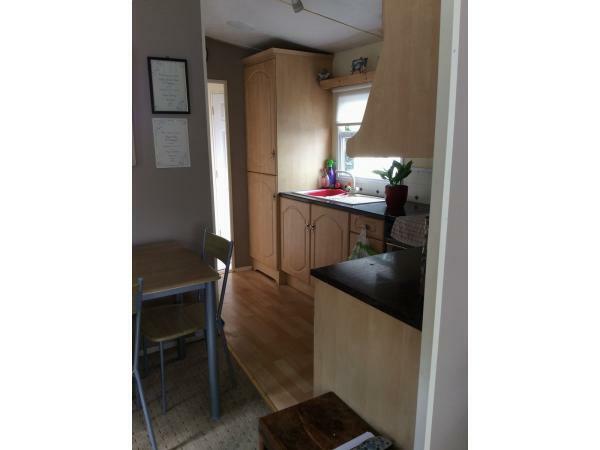 Twin room with single fitted wardrobe. 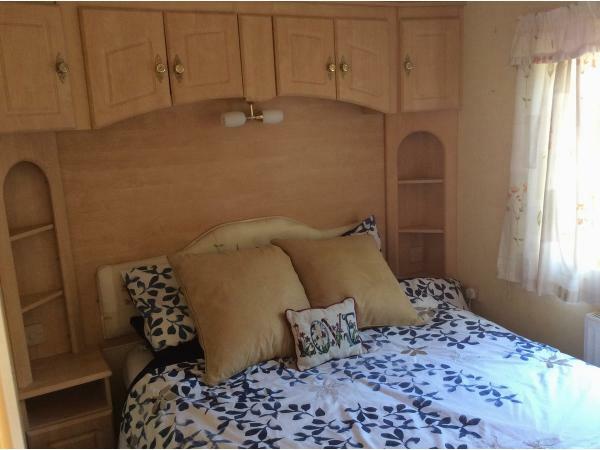 Bedding, duvet and pillows etc provided. 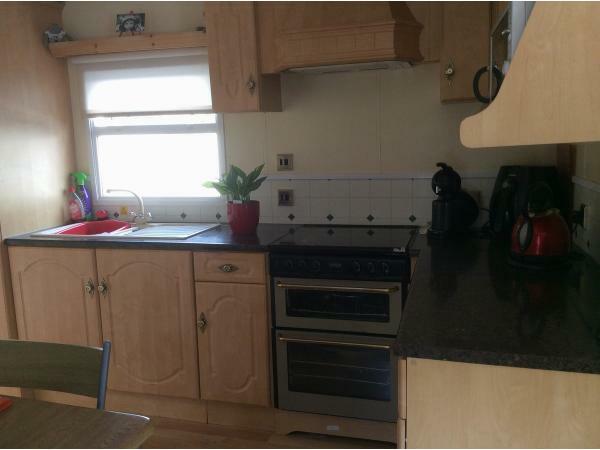 Kitchen equipped with microwave, toaster, kettle etc pots and pans. Tea towels provided. 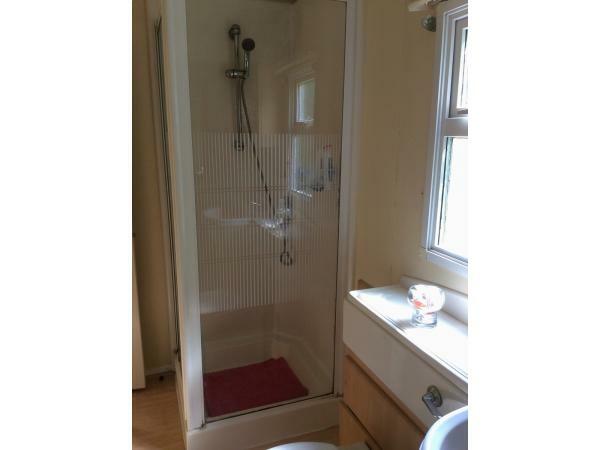 Main Bathroom 3/4 bath, separate shower cubicle toilet and sink. 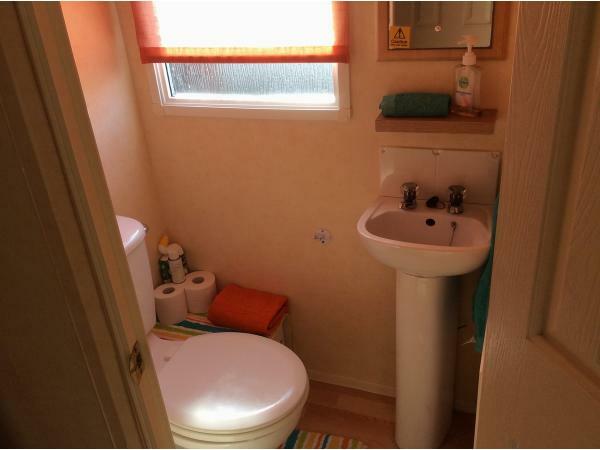 2nd bathroom has toilet and sink. Bath towels provided, please bring your own beach towels. Morecambe is Only 45 mins to Blackpool and 45 mins to Lake District. Historic city of Lancaster 4 miles away, with museum, Lancaster castle, Williamson’s park with butterfly house. Morecambe features the Eric Morecambe statue, New Soul bar bowling alley with bar overlooking Morecambe Bay. Happy Mount Park with crazy golf, children’s play area also little train. Jump Rush trampoline park. carboot saturday, Market day’s tue, thurs also outside large Sunday market. Additional Info: On Site-Indoor heated swimming pool with scheduled water activities, separate baby pool, and sauna. outside sports court, outside play area for toddlers. sparky’s kids club-in season. Large amusement arcade, showbar and outside beer garden, pool table, restaurant and launderette. Small shop supplying basics. WiFi in designated club areas. No reviews found. 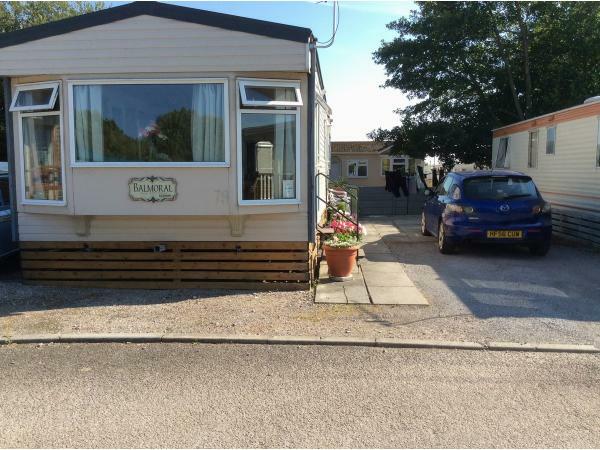 If you have recently stayed in this holiday home please leave a review, it only takes a few moments and will really help future guests when they are searching for holiday accommodation at Regent Bay Holiday Park.